After nearly six months of development, Android Studio 3.4 is ready to download today on the stable release channel. This is a milestone release of the Project Marble effort from the Android Studio team. Project Marble is our focus on making the fundamental features and flows of the Integrated Development Environment (IDE) rock-solid. On top of many performance improvements and bug fixes we made in Android Studio 3.4, we are excited to release a small but focused set of new features that address core developer workflows for app building & resource management. Part of the effort of Project Marble is to address user facing issues in core features in the IDE. 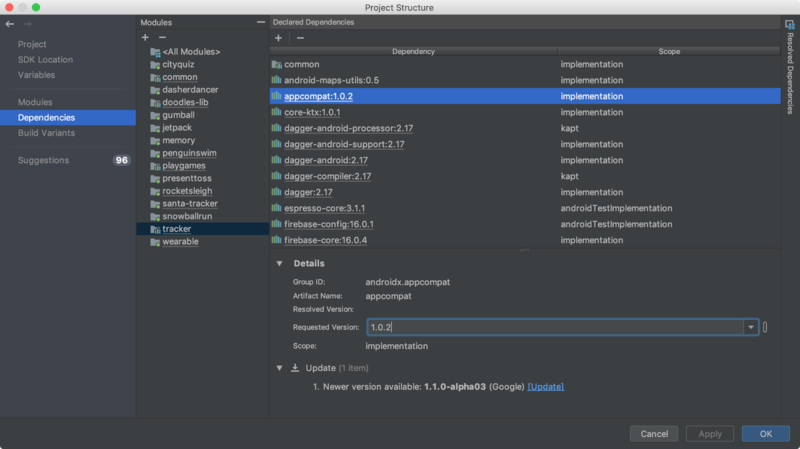 At the top of the list of issues for Android Studio 3.4 is an updated Project Structure Dialog (PSD) which is a revamped user interface to manage dependencies in your app project Gradle build files. In another build-related change, R8 replaces Proguard as the default code shrinker and obfuscator. To aid app design, we incorporated your feedback to create a new app resource management tool to bulk import, preview, and manage resources for your project. Lastly, we are shipping an updated Android Emulator that takes less system resources, and also supports the Android Q Beta. Overall, these features are designed to make you more productive in your day-to-day app development workflow. The development work for Project Marble is still on-going, but Android Studio 3.4 incorporates productivity features and over 300 bug & stability enhancements that you do not want to miss. Watch and read below for some of the notable changes and enhancements that you will find in Android Studio 3.4. Resource Manager - We have heard from you that asset management and navigation can be clunky and tedious in Android Studio, especially as your app grows in complexity. The resource manager is a new tool to visualize the drawables, colors, and layouts across your app project in a consolidated view. In addition to visualization, the panel supports drag & drop bulk asset import, and, by popular request, bulk SVG to VectorDrawable conversion. These accelerators will hopefully help manage assets you get from a design team, or simply help you have a more organized view of project assets. Learn more. 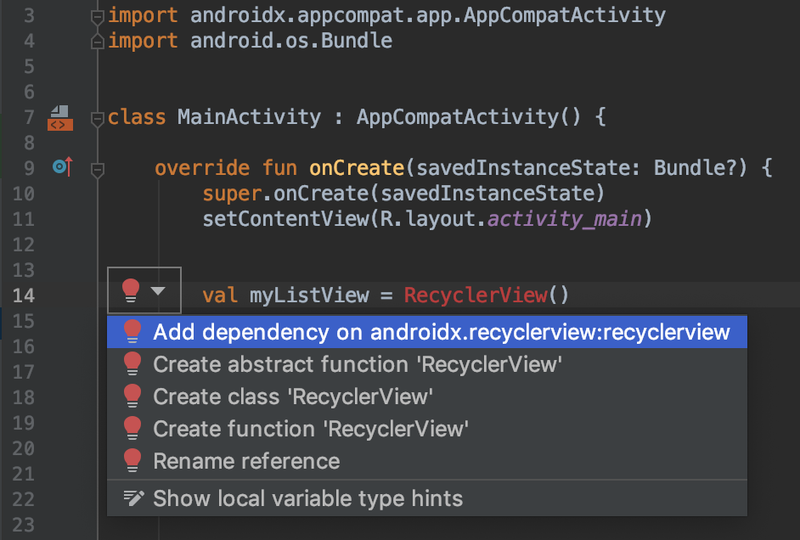 Import Intentions - As you work with new Jetpack and Firebase libraries, Android Studio 3.4 will recognize common classes in these libraries and suggest, via code intentions, adding the required import statement and library dependency to your Gradle project files. This optimization can be a time saver since it keeps you in the context of your code. Moreover, since Jetpack libraries are modularized, Android Studio can find the exact library or minimum set of libraries required to use a new Jetpack class. Layout Editor Properties Panel - To improve product refinement and polish we refreshed the Layout Editor Properties panel. Now we just have one single pane, with collapsible sections for properties. Additionally, errors and warnings have their own highlight color, we have a resource binding control for each property, and we have an updated color picker. IntelliJ Platform Update - Android Studio 3.4 includes Intellij 2018.3.4. This update has a wide range of improvements from support for multi-line TODOs to an updated search everywhere feature. Learn more. Project Structure Dialog - A long standing request from many developers is to have a user interface front end to manage Gradle project files. We have more plans for this area, but Android Studio 3.4 includes the next phase of improvement in the Product Structure Dialog (PSD). The new PSD allows you to see and add dependencies to your project at a module level. Additionally, the new PSD displays build variables, suggestions to improve your build file configuration, and more! Although the latest Gradle plugin v3.4 also has improvements, you do not have to upgrade your Gradle plugin version number to take advantage of the new PSD. Learn more. R8 by Default - Almost two years ago we previewed R8 as the replacement for Proguard. R8 code shrinking helps reduce the size of your APK by getting rid of unused code and resources as well as making your actual code take less space. Additionally, in comparison to Proguard, R8 combines shrinking, desugaring and dexing operations into one step, which ends up to be a more efficient approach for Android apps. After additional validation and testing last year, R8 is now the default code shinker for new projects created with Android Studio 3.4 and for projects using Android Gradle plugin 3.4 and higher. Learn more. Android Emulator Skin updates & Android Q Beta Emulator System Image - Inside of Android Studio 3.4 we released the latest Google Pixel 3 & Google Pixel 3 XL device skins. Also with this release, you can also download Android Q Beta emulator system images for app testing on Android Q. Please note that we do recommend running the canary version of Android Studio and the emulator to get the latest compatibility changes during the Android Q Beta program. Check out the Android Studio release notes, Android Gradle plugin release notes, and the Android Emulator release notes for more details. 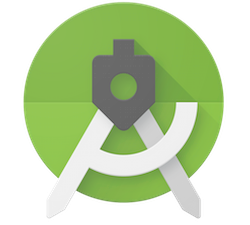 Download the latest version of Android Studio 3.4 from the download page. If you are using a previous release of Android Studio, you can simply update to the latest version of Android Studio. If you want to maintain a stable version of Android Studio, you can run the stable release version and canary release versions of Android Studio at the same time. Learn more. To use the mentioned Android Emulator features make sure you are running at least Android Emulator v28.0.22 downloaded via the Android Studio SDK Manager. We appreciate any feedback on things you like, and issues or features you would like to see. If you find a bug or issue, feel free to file an issue. Follow us -- the Android Studio development team ‐ on Twitter and on Medium. 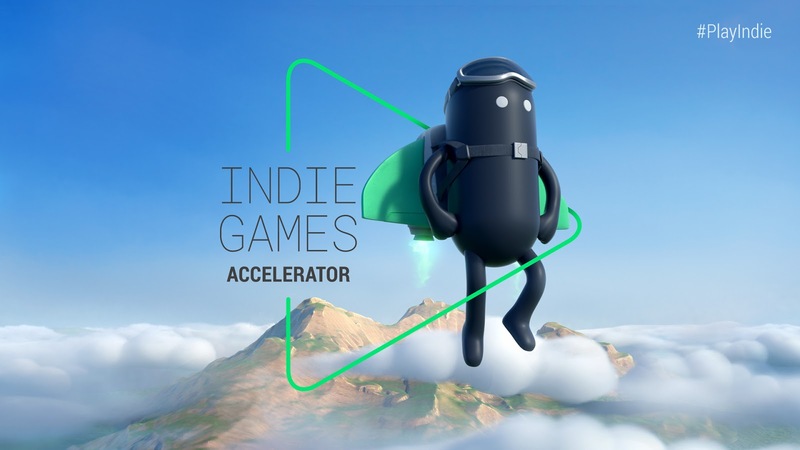 Last year we announced the Indie Games Accelerator, a special edition of Launchpad Accelerator, to help top indie game developers from emerging markets achieve their full potential on Google Play. Our team of program mentors had an amazing time coaching some of the best gaming talent from India, Pakistan, and Southeast Asia. We're very encouraged by the positive feedback we received for the program and are excited to bring it back in 2019. Applications for the class of 2019 are now open, and we're happy to announce that we are expanding the program to developers from select countries* in Asia, Middle East, Africa, and Latin America. Successful participants will be invited to attend two gaming bootcamps, all-expenses-paid at the Google Asia-Pacific office in Singapore, where they will receive personalized mentorship from Google teams and industry experts. Additional benefits include Google hardware, invites to exclusive Google and industry events and more. Find out more about the program and apply to be a part of it. * The competition is open to developers from the following countries: Bangladesh, Brunei, Cambodia, India, Indonesia, Laos, Malaysia, Myanmar, Nepal, Pakistan, Philippines, Singapore, Sri Lanka, Thailand, Vietnam, Egypt, Jordan, Kenya, Lebanon, Nigeria, South Africa, Tunisia, Turkey, Argentina, Bolivia, Brazil, Chile, Colombia, Costa Rica, Ecuador, Guatemala, Mexico, Panama, Paraguay, Peru, Uruguay and Venezuela. Thank you for all the feedback about updates we've been making to Android APIs and Play policies. We've heard your requests for improvement as well as some frustration. We want to explain how and why we're making these changes, and how we are using your feedback to improve the way we roll out these updates and communicate with the developer community. From the outset, we've sought to craft Android as a completely open source operating system. We've also worked hard to ensure backwards compatibility and API consistency, out of respect and a desire to make the platform as easy to use as possible. This developer-centric approach and openness have been cornerstones of Android's philosophy from the beginning. These are not changing. But as the platform grows and evolves, each decision we make comes with trade-offs. Everyday, billions of people around the world use the apps you've built to do incredible things like connect with loved ones, manage finances or communicate with doctors. Users want more control and transparency over how their personal information is being used by applications, and expect Android, as the platform, to do more to provide that control and transparency. This responsibility to users is something we have always taken seriously, and that's why we are taking a comprehensive look at how our platform and policies reflect that commitment. Earlier this year, we introduced Android Q Beta with dozens of features and improvements that provide users with more transparency and control, further securing their personal data. Along with the system-level changes introduced in Q, we're also reviewing and refining our Play Developer policies to further enhance user privacy. For years, we've required developers to disclose the collection and use of personal data so users can understand how their information is being used, and to only use the permissions that are really needed to deliver the features and services of the app. As part of Project Strobe, which we announced last October, we are rolling out specific guidance for each of the Android runtime permissions, and we are holding apps developed by Google to the same standard. Getting information from a 'real human' at Google. Some of you came away with the impression that our decisions were automated, without human involvement. And others felt that it was hard to reach a person who could help provide details about our policy decisions and about new use cases proposed by developers. We have also heard concerns from some developers whose accounts have been blocked from distributing apps through Google Play. While the vast majority of developers on Android are well-meaning, some accounts are suspended for serious, repeated violation of policies that protect our shared users. Bad-faith developers often try to get around this by opening new accounts or using other developers' existing accounts to publish unsafe apps. While we strive for openness wherever possible, in order to prevent bad-faith developers from gaming our systems and putting our users at risk in the process, we can't always share the reasons we've concluded that one account is related to another. Separately, we will soon be taking more time (days, not weeks) to review apps by developers that don't yet have a track record with us. This will allow us to do more thorough checks before approving apps to go live in the store and will help us make even fewer inaccurate decisions on developer accounts. Last November I was invited to talk at the LinuxPiter conference. I held a presentation of the Ubports project, to which I still contribute in my little spare time. There was not a big audience, to be honest, but those that were there expressed a lot of interest in the project. This is the first report about Igalia's activities around Computer Graphics, specifically 3D graphics and, in particular, the Mesa3D Graphics Library (Mesa), focusing on the year 2018. GL_ARB_gl_spirv is an OpenGL extension whose purpose is to enable an OpenGL program to consume SPIR-V shaders. In the case of GL_ARB_spirv_extensions, it provides a mechanism by which an OpenGL implementation would be able to announce which particular SPIR-V extensions it supports, which is a nice complement to GL_ARB_gl_spirv. As both extensions, GL_ARB_gl_spirv and GL_ARB_spirv_extensions, are core functionality in OpenGL 4.6, the drivers need to provide them in order to be compliant with that version. Although Igalia picked up the already started implementation of these extensions in Mesa back in 2017, 2018 is a year in which we put a big deal of work to provide the needed push to have all the remaining bits in place. Much of this effort provides general support to all the drivers under the Mesa umbrella but, in particular, Igalia implemented the backend code for Intel's i965 driver (gen7+). Assuming that the review process for the remaining patches goes without important bumps, it is expected that the whole implementation will land in Mesa during the beginning of 2019. The ETC and EAC formats are lossy compressed texture formats used mostly in embedded devices. OpenGL implementations of the versions 4.3 and upwards, and OpenGL/ES implementations of the versions 3.0 and upwards must support them in order to be conformant with the standard. Most modern GPUs are able to work directly with the ETC2/EAC formats. Implementations for older GPUs that don't have that support but want to be conformant with the latest versions of the specs need to provide that functionality through the software parts of the driver. During 2018, Igalia implemented the missing bits to support GL_OES_copy_image in Intel's i965 for gen7+, while gen8+ was already complying through its HW support. As we were writing this entry, the work has finally landed. Igalia finished the work to provide support for the Vulkan extension VK_KHR_16bit_storage into Intel's Anvil driver. This extension allows the use of 16-bit types (half floats, 16-bit ints, and 16-bit uints) in push constant blocks, and buffers (shader storage buffer objects). This feature can help to reduce the memory bandwith for Uniform and Storage Buffer data accessed from the shaders and / or optimize Push Constant space, of which there are only a few bytes available, making it a precious shader resource. Igalia added Vulkan's optional feature shaderInt16 to Intel's Anvil driver. This new functionality provides the means to operate with 16-bit integers inside a shader which, ideally, would lead to better performance when you don't need a full 32-bit range. However, not all HW platforms may have native support, still needing to run in 32-bit and, hence, not benefiting from this feature. Such is the case for operations associated with integer division in the case of Intel platforms. shaderInt16 complements the functionality provided by the VK_KHR_16bit_storage extension. SPV_KHR_8bit_storage is a SPIR-V extension that complements the VK_KHR_8bit_storage Vulkan extension to allow the use of 8-bit types in uniform and storage buffers, and push constant blocks. Similarly to the the VK_KHR_16bit_storage extension, this feature can help to reduce the needed memory bandwith. Igalia implemented its support into Intel's Anvil driver. Igalia implemented the support for VK_KHR_shader_float16_int8 into Intel's Anvil driver. This is an extension that enables Vulkan to consume SPIR-V shaders that use Float16 and Int8 types in arithmetic operations. It extends the functionality included with VK_KHR_16bit_storage and VK_KHR_8bit_storage. In theory, applications that do not need the range and precision of regular 32-bit floating point and integers, can use these new types to improve performance. Additionally, its implementation is mostly API agnostic, so most of the work we did should also help to have a proper mediump implementation for GLSL ES shaders in the future. The review process for the implementation is still ongoing and is on its way to land in Mesa. VK_KHR_shader_float_controls is a Vulkan extension which allows applications to query and override the implementation's default floating point behavior for rounding modes, denormals, signed zero and infinity. Igalia has coded its support into Intel's Anvil driver and it is currently under review before being merged into Mesa. VkRunner is a Vulkan shader tester based on shader_runner in Piglit. Its goal is to make it feasible to test scripts as similar as possible to Piglit's shader_test format. Igalia initially created VkRunner as a tool to get more test coverage during the implementation of GL_ARB_gl_spirv. Soon, it was clear that it was useful way beyond the implementation of this specific extension but as a generic way of testing SPIR-V shaders. Since then, VkRunner has been enabled as an external dependency to run new tests added to the Piglit and VK-GL-CTS suites. During 2018, Igalia has also started contributing to the freedreno Mesa driver for Qualcomm GPUs. Among the work done, we have tackled multiple bugs identified through the usual testing suites used in the graphic drivers development: Piglit and VK-GL-CTS. The Khronos conformance program is intended to ensure that products that implement Khronos standards (such as OpenGL or Vulkan drivers) do what they are supposed to do and they do it consistently across implementations from the same or different vendors. This is achieved by producing an extensive test suite, the Conformance Test Suite (VK-GL-CTS or CTS for short), which aims to verify that the semantics of the standard are properly implemented by as many vendors as possible. In 2018, Igalia has continued its work ensuring that the Intel Mesa drivers for both Vulkan and OpenGL are conformant. This work included reviewing and testing patches submitted for inclusion in VK-GL-CTS and continuously checking that the drivers passed the tests. When failures were encountered we provided patches to correct the problem either in the tests or in the drivers, depending on the outcome of our analysis or, even, brought a discussion forward when the source of the problem was incomplete, ambiguous or incorrect spec language. The most important result out of this significant dedication has been successfully passing conformance applications. Igalia helped making Intel's i965 driver conformant with OpenGL 4.6 since day zero. This was a significant achievement since, besides Intel Mesa, only nVIDIA managed to do this too. Igalia specifically contributed to achieve the OpenGL 4.6 milestone providing the GL_ARB_gl_spirv implementation. Igalia also helped to make Intel's Anvil driver conformant with Vulkan 1.1 since day zero, too. Igalia specifically contributed to achieve the Vulkan 1.1 milestone providing the VK_KHR_16bit_storage implementation. Igalia continued the work that was already carrying on in Mesa's Release Team throughout 2018. This effort involved a continuous dedication to track the general status of Mesa against the usual test suites and benchmarks but also to react quickly upon detected regressions, specially coordinating with the Mesa developers and the distribution packagers. The work was obviously visible by releasing multiple bugfix releases as well as doing the branching and creating a feature release. Continuous Integration is a must in any serious SW project. In the case of API implementations it is even critical since there are many important variables that need to be controlled to avoid regressions and track the progress when including new features: agnostic tests that can be used by different implementations, different OS platforms, CPU architectures and, of course, different GPU architectures and generations. Igalia has kept a sustained effort to keep Mesa (and Piglit) CI integrations in good health with an eye on the reported regressions to act immediately upon them. This has been a key tool for our work around Mesa releases and the experience allowed us to push the initial proposal for a new CI integration when the FreeDesktop projects decided to start its migration to GitLab. 2018 was the year that saw A Coruña hosting the X.Org Developer's Conference (XDC) and Igalia as Platinum Sponsor. The conference was organized by GPUL (Galician Linux User and Developer Group) together with University of A Coruña, Igalia and, of course, the X.Org Foundation. Since A Coruña is the town in which the company originated and where we have our headquarters, Igalia had a key role in the organization, which was greatly benefited by our vast experience running events. Moreover, several Igalians joined the conference crew and, as mentioned above, we delivered talks around GL_ARB_gl_spirv, VkRunner, and Mesa releases and CI testing. And obviously, XDC, in A Coruña. Hyunjun Ko is an experienced Igalian with a strong background in multimedia. Specifically, GStreamer and Intel's VAAPI. He is now contributing his impressive expertise into our Graphics team. Arcady Goldmints-Orlov is the latest addition to the team. His previous expertise as a graphics developer around the nVIDIA GPUs fits perfectly for the kind of work we are pushing currently in Igalia. Thank you for reading this blog post and we look forward to more work on graphics in 2019! It took a few days, but I've finally migrated my site to Nikola. I used to have blog.mardy.it served by Google's Blogger, the main sections of www.mardy.it generated with Jekyll, the image gallery served by the old and glorious Gallery2, plus a few leftovers from the old Drupal site. Anyway, while I've fallen in love with static site generators, I still would like to give people the chance of leaving comments. Services like Disqus are easy to integrate, but given the way they can be (ab)used to track the users, I prefered to go for something self hosted. So, enter Isso. Isso is a Python server to handle comments; it's simple to install and configure, and offers some nice features like e-mail notifications on new replies. Integrating Isso with Nikola was relatively easy, but the desire to keep a multilingual site and some hosting limitation made the process worth spending a couple of words. First, my site if hosted by Dreamhost with a very basic subscription that doesn't allow me to keep long-running processes. After reading Isso's quickstart guide I was left quite disappointed, because it seemed that the only way to use Isso is to have it running all the time, or have a nginx server (Dreamhost offers Apache). Luckily, that's not quite the case, and more deployment approach are described in a separate page, including one for FastCGI (which is supported by Dreamhost). Those instructions are a bit wrong, but yours truly submitted some amendments to the documentation which will hopefully go live soon. Isso can import comments from other sites, but an importer for Blogger (a.k.a. blogspot.com) was missing. So I wrote a quick and dirty tool for that job, and shared it in case it could be useful to someone else, too. The default configuration of Nikola + Isso binds the comments to the exact URL that they were entered into. What I mean is that if your site supports multiple languages, and a user has entered a comment to an entry while visiting the English version of the site, users visiting the Italian version of the site would see same blog entry, but without that comment. That happens regardless of whether the blog entry has been translated into multiple languages or not: it's enough that the site has been configured for multiple languages. My solution to fix the issue could not be accepted into Nikola as it would break old comments in existing sites, but if you are starting a new multilingual site you should definitely consider it. Given that I've deployed Isso as a CGI, it's understandable that it's not the fastest thing ever: it takes some time to startup, so comments don't appear immediately when you open a page. However, once it's started it stays alive for several seconds, and that seems to help with performance when commenting. Anyway, the real reason why I've written all this is to kindly ask you to write a comment on this post :-) Extra points if you leave your e-mail address and enable the reply notifications, and let me know if you receive a notification once I'll reply to your comment. As far as I understand, you won't get a notification when someone adds an unrelated comment, but only when the "reply" functionality is used. A small brain dump of topics that currently fascinate me. These are mostly pointers and maybe it is interesting to follow it. My kobo ebook reader has the Site Reliability Engineering book and I am now mostly done. It is kind of a revelation and explains my interest to write code but also to operate infrastructure (like struggling with ruby, rmagick, nginx…). I am interested in backends since… well ever. The first time I noticed it when we talked about Kolab at LinuxTag and I was more interested in the backend than the KDE client. At sysmocom we built an IoT product and the backend was quite some fun, especially the scale of one instance and many devices/users, capacity planning and disk commissioning, lossless upgrades. It can be seen in my non FOSS SS7 map work on traffic masquerading and transparent rewriting. It is also clear to see which part of engineering is needed for scale (instead of just installing and restarting servers). Using branches taken/not-taken as indicator how hot a path is. The overhead of counting these seem to be better than counting method calls/instructions/loops. Optimize from one set of Bytecode to another set of Bytecode. The revelation is the last part. By just optimizing from bytecode to bytecode the VM remains in charge of creating and managing machine code. The next part is that tooling in the higher language is better or at least the roundtrip is more quick (edit code and just compile the new method instead of running make, c++, ld). The productivity thanks to the abstraction and tooling is likely higher. As last part the OSR is easier as well. In Smalltalk thisContext (the current stack frame, activation record) is an object as well. At the right point (when the JIT has either written back variables from register to the stack or at least knows where the value is) one can just manipulate thisContext, create and link news ones and then resume execution without all the magic in other VMs. Ken Thompson and Robert Pike are well known persons and their Go programming language is a very interesting system programming language. Like with all new languages I try to get real world experience with the language, the tooling and which kind of problems can be solved with it. I have debugged and patched some bigger projects and written two small applications with it. There is plenty I like. The escape analysis of the compiler is fun (especially now that I know it was translated from the Plan9 C compiler from C to Go), the concurrency model is good (though allowing shared state), the module system makes sense (but makes forking harder than necessary), being able to cross compile to any target from any system. So for many developers Go is a big improvement but for some people with a wider view it might look like a lost opportunity. But that can only be felt by developers that have experienced higher abstraction and productivity. There's a new project currently undergoing crowd funding that might be of interest to the former Openmoko community: The Purism Librem 5 campaign. Similar to Openmoko a decade ago, they are aiming to build a FOSS based smartphone built on GNU/Linux without any proprietary drivers/blobs on the application processor, from bootloader to userspace. Furthermore (just like Openmoko) the baseband processor is fully isolated, with no shared memory and with the Linux-running application processor being in full control. They go beyond what we wanted to do at Openmoko in offering hardware kill switches for camera/phone/baseband/bluetooth. During Openmoko days we assumed it is sufficient to simply control all those bits from the trusted Linux domain, but of course once that might be compromised, a physical kill switch provides a completely different level of security. I wish them all the best, and hope they can leave a better track record than Openmoko. Sure, we sold some thousands of phones, but the company quickly died, and the state of software was far from end-user-ready. I think the primary obstacles/complexities are verification of the hardware design as well as the software stack all the way up to the UI. The budget of ~ 1.5 million seems extremely tight from my point of view, but then I have no information about how much Puri.sm is able to invest from other sources outside of the campaign. If you're a FOSS developer with a strong interest in a Free/Open privacy-first smartphone, please note that they have several job openings, from Kernel Developer to OS Developer to UI Developer. I'd love to see some talents at work in that area. It's a bit of a pity that almost all of the actual technical details are unspecified at this point (except RAM/flash/main-cpu). No details on the cellular modem/chipset used, no details on the camera, neither on the bluetooth chipset, wifi chipset, etc. This might be an indication of the early stage of their plannings. I would have expected that one has ironed out those questions before looking for funding - but then, it's their campaign and they can run it as they see it fit! For many years I've been fascinated by the XMOS XCore architecture. It offers a surprisingly refreshing alternative virtually any other classic microcontroller architectures out there. However, despite reading a lot about it years ago, being fascinated by it, and even giving a short informal presentation about it once, I've so far never used it. Too much "real" work imposes a high barrier to spending time learning about new architectures, languages, toolchains and the like. In spirit, it is like a 21st century implementation of some of the concepts established first with Transputers. 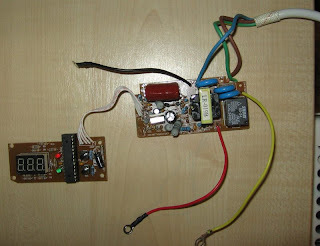 My main interest in xMOS has been the flexibility that you get in implementing not-so-standard electronics interfaces. For regular I2C, UART, SPI, etc. there is of course no such need. But every so often one encounters some interface that's very rately found (like the output of an E1/T1 Line Interface Unit). Also, quite often I run into use cases where it's simply impossible to find a microcontroller with a sufficient number of the related peripherals built-in. Try finding a microcontroller with 8 UARTs, for example. Or one with four different PCM/I2S interfaces, which all can run in different clock domains. The existing options of solving such problems basically boil down to either implementing it in hard-wired logic (unrealistic, complex, expensive) or going to programmable logic with CPLD or FPGAs. While the latter is certainly also quite interesting, the learning curve is steep, the tools anything but easy to use and the synthesising time (and thus development cycles) long. Furthermore, your board design will be more complex as you have that FPGA/CPLD and a microcontroller, need to interface the two, etc (yes, in high-end use cases there's the Zynq, but I'm thinking of several orders of magnitude less complex designs). Of course one can also take a "pure software" approach and go for high-speed bit-banging. There are some ARM SoCs that can toggle their pins. People have reported rates like 14 MHz being possible on a Raspberry Pi. However, when running a general-purpose OS in parallel, this kind of speed is hard to do reliably over long term, and the related software implementations are going to be anything but nice to write. So the XCore is looking like a nice alternative for a lot of those use cases. Where you want a microcontroller with more programmability in terms of its I/O capabilities, but not go as far as to go full-on with FPGA/CPLD development in Verilog or VHDL. My current use case is to implement a board that can accept four independent PCM inputs (all in slave mode, i.e. clock provided by external master) and present them via USB to a host PC. The final goal is to have a board that can be combined with the sysmoQMOD and which can interface the PCM audio of four cellular modems concurrently. While XMOS is quite strong in the Audio field and you can find existing examples and app notes for I2S and S/PDIF, I couldn't find any existing code for a PCM slave of the given requirements (short frame sync, 8kHz sample rate, 16bit samples, 2.048 MHz bit clock, MSB first). I wanted to get a feeling how well one can implement the related PCM slave. In order to test the slave, I decided to develop the matching PCM master and run the two against each other. Despite having never written any code for XMOS before, nor having used any of the toolchain, I was able to implement the PCM master and PCM slave within something like ~6 hours, including simulation and verification. Sure, one can certainly do that in much less time, but only once you're familiar with the tools, programming environment, language, etc. I think it's not bad. The biggest problem was that the clock phase for a clocked output port cannot be configured, i.e. the XCore insists on always clocking out a new bit at the falling edge, while my use case of course required the opposite: Clocking oout new signals at the rising edge. I had to use a second clock block to generate the inverted clock in order to achieve that goal. Beyond that 4xPCM use case, I also have other ideas like finally putting the osmo-e1-xcvr to use by combining it with an XMOS device to build a portable E1-to-USB adapter. I have no clue if and when I'll find time for that, but if somebody wants to join in: Let me know! I found the various pieces of documentation extremely useful and very well written. I was able to make fast progress in solving the first task using the XMOS / Xcore approach. You can find plenty of soft cores that XMOS has been developing on github at https://github.com/xcore, including the full commit history. This type of development is a big improvement over what most vendors of smaller microcontrollers like Atmel are doing (infrequent tar-ball code-drops without commit history). And in the case of the classic uC vendors, we're talking about drivers only. In the XMOS case it's about the entire logic of the peripheral! You can for example see that for their I2C core, the very active commit history goes back to January 2011. The xTIMEcomposer IDE (based on Eclipse) contains extensive tracing support and an extensible near cycle accurate simulator (xSIM). I've implemented a PCM mater and PCM slave in xC and was able to simulate the program while looking at the waveforms of the logic signals between those two. While the product portfolio on on the xMOS website looks extremely comprehensive, the vast majority of the parts is not available from stock at distributors. You won't even get samples, and lead times are 12 weeks (!). If you check at digikey, they have listed a total of 302 different XMOS controllers, but only 35 of them are in stock. USB capable are 15. With other distributors like Farnell it's even worse. I've seen this with other semiconductor vendors before, but never to such a large extent. Sure, some packages/configurations are not standard products, but having only 11% of the portfolio actually available is pretty bad. In such situations, where it's difficult to convince distributors to stock parts, it would be a good idea for XMOS to stock parts themselves and provide samples / low quantities directly. Not everyone is able to order large trays and/or capable to wait 12 weeks, especially during the R&D phase of a board. The smaller parts like XU[F]-208 only have one xLINK exposed. Of what use is that? If you don't have at least two links available, you cannot daisy-chain them to each other, let alone build more complex structures like cubes (at least 3 xLINKs). So once again you have to go to much larger packages, where you will not use 80% of the pins or resources, just to get the required number of xLINKs for interconnection. XMOS deserved a lot of praise for releasing all their soft IP cores as Free / Open Source Software on github at https://github.com/xcore. The License has basically been a 3-clause BSD license. This was a good move, as it meant that anyone could create derivative versions, whether proprietary or FOSS, and there would be virtually no license incompatibilities with whatever code people wanted to write. However, to my very big disappointment, more recently XMOS seems to have changed their policy on this. New soft cores (released at https://github.com/xmos as opposed to the old https://github.com/xcore) are made available under a non-free license. This license is nothing like BSD 3-clause license or any other Free Software or Open Source license. It restricts the license to use the code together with an XMOS product, requires the user to contribute fixes back to XMOS and contains references to importand export control. This license is incopatible with probably any FOSS license in existance, making it impossible to write FOSS code on XMOS while using any of the new soft cores released by XMOS. But even beyond that license change, not even all code is provided in source code format anymore. The new USB library (lib_usb) is provided as binary-only library, for example. If you know anyone at XMOS management or XMOS legal with whom I could raise this topic of license change when transitioning from older sc_* software to later lib_* code, I would appreciate this a lot. While a lot of the toolchain and IDE is based on open source (Eclipse, LLVM, ...), the actual xC compiler is proprietary. LG goes out of line of vendors with 3D shutter glasses technology with their FPR ("Cinema 3D" in marketing speak) technology. It uses passive (no power needed) polarized glasses, like RealD cimenas. Announced April (on these longitudes), already in local shops at not-so-indecent prices. FPR is Film Patterned Retarder, and I hope the last word is spelled right, because I have high hopes for this tech. It shares the same issue as Samsung D6xxx: there won't FullHD here for sure, but at least it's official and there're other benefits. I finally going to get Arduino, and while I'm choosing flavor and waiting for it, I can't help but disassembling all devices I have at home, each time speaking: "This must have Arduino inside!" (meaning of course that I expect it to be based on general-purpose MCU). Gosh, I usually get "blob chip" (uncased chip with blob of epoxy on top). Well, I finally had my expectations fulfilled - Luxeon SP-1 voltage stabilizer/cutter features ATMEGA48V-10PU (Flash: 4k, EEPROM: 256, RAM:512). Not only that, it is installed in DIP socket! Buy from Luxeon, they're hacker-friendly ;-). I bought the device actually for a wattmeter it features (which fact is hard to figure out from common specs found in the shops, I accidentally read somebody mentioning it on a forum). The wattmeter is of course not bright - for a lamp rated 100W it shows 88W, and for more powerful equipment (like perforator) understates wattage even more (maybe it's difference between real and apparent power factor). Still, for $17 you get Arudino-alike with voltage/current sensor and hacking possibility. Woot! Latest jailbreak appears to be one from NiLuJe (forum). It's known to work with firmware 3.3. Hacks/updates should be copied to Kindle USB drive root. Antonio Ospite: Gnome 3: go to Shell? Not just yet, thanks. In Debian Unstable the transition to Gnome 3 is taking place; when Gnome 3.0 firstly came out some unnamed geeky users complained loudly about the design decisions of the development team to push strongly towards gnome-shell as a new default UI; gnome-shell was designed focusing on usability (usability is a metric relative to a certain target audience BTW) and simplicity, hiding a lot of details from the users. Obviously you can never make everyone happy so some of us simply happened to be "out of target": you know us computer people (*cough cough*), we like to be in charge and control The Machine... I must admit I still don't have a definitive opinion about the gnome-shell concept, for now I just know that it does not suit me; I am going to try it eventually, maybe I'll get used to it, but in the mean time I need my desktop back just like I shaped it through the years; can this be done without loosing all the good Gnome technologies (Empathy over all of them)? To be completely fair I have to say that there is little to complain about with Gnome developers, we can still get our good old GNOME desktop fully back by using the fall-back mode based on gnome-panel and live happily ever after, let's take a look at how this can be accomplished. NOTE: GNOME people state that the fall-back mode is meant for systems with older graphic cards which cannot run gnome-shell, however it can very well be seen as a good opportunity for those who do not want to run gnome-shell just yet. Getting back to the topic: some minor touches are needed to make the panel look more like what we are used to, maybe some of these settings could even become default for fall-back mode, we'll see. gnome-tweak-tool can be used for some of these settings like shown in the attached images. Ah, in the new gnome-panel based on Gtk3 there are still some details to take care of, I hope issues like that will be addressed and that the panel will be supported for quite some time. Michael Lauer: The Eagle Has Landed! After letting us wait for a bit longer than scheduled (13 days), the hospital initiated the contractions. For the first couple of hours, everything went just perfect, but then the little one got stuck on the way and we had to resort to a cesarean section. Lara Marie Lauer was born 8th of June at 04:41 (AM) with 3460 gramms and 49 cm. Mummy was still on intensive care and so they gave her to me. I can't express the feelings I had in this very moment. I'm still kind of overwhelmed every time I see her. Thanks for all of you who waited anxiously with me and those who prayed for us. The most important tasks for the near future is getting Mummy to recover and Lara Marie to become accustomed to us and the rest of the outside world. 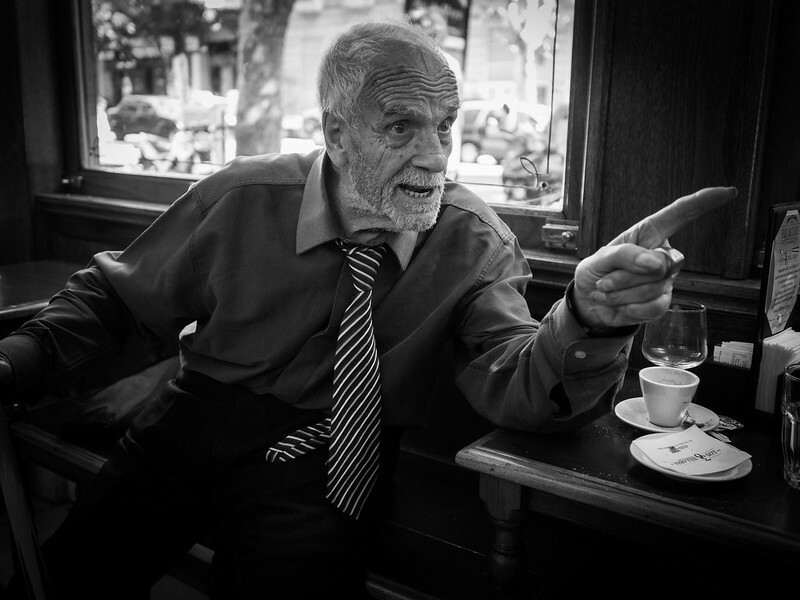 Michael Lauer: German Post on time! And now for something completely different… while we are all waiting for my baby to arrive (who was scheduled for 25th of May), she just received her first greeting card - together with a personalized bib and a towel (with integrated hood - pretty fancy!) from my good friends at #openmoko-cdevel.